If you already know about reverse sear steaks there’s nothing new in this post. 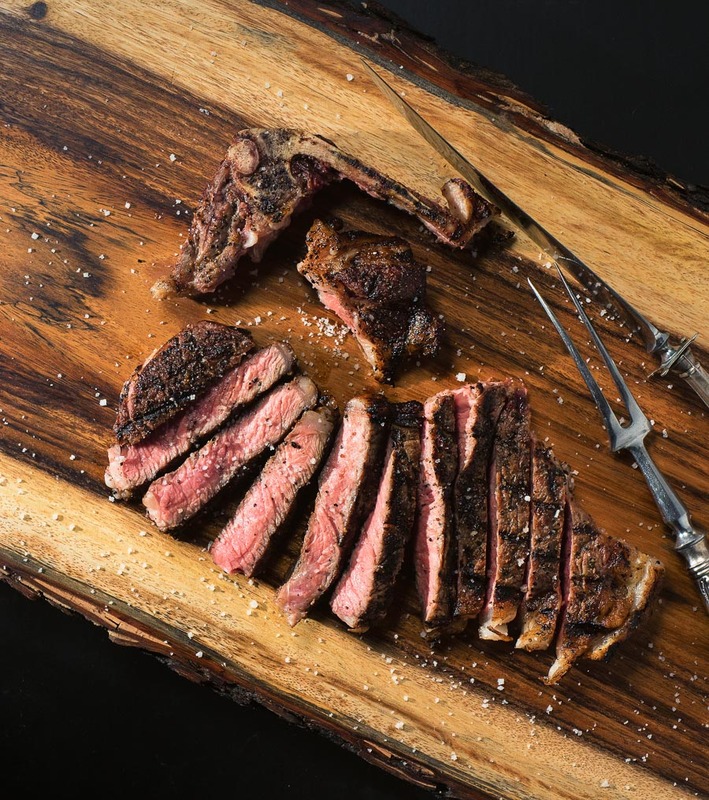 If you haven’t yet jumped on the reverse sear steak bandwagon then please read on. 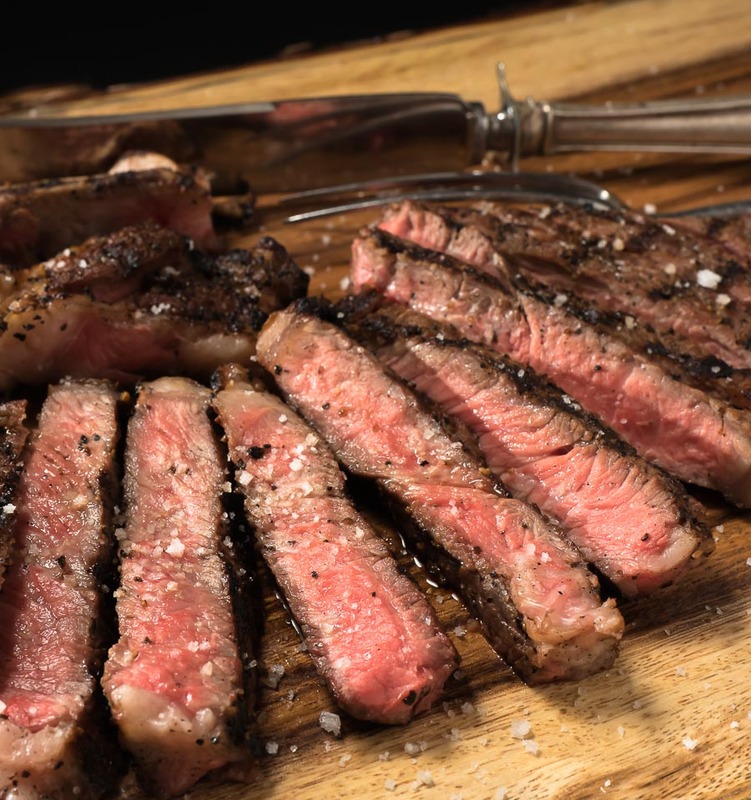 The reverse sear technique lets you cook steaks perfectly every time. Ever wonder how they get steaks perfectly evenly cooked in restaurants? How it’s pink from edge to edge? Like in the pictures in this post? They don’t just throw steaks on a grill and hope. That’s never a good idea. A lot of better restaurants use sous-vide. They bring the steak to just under the perfect temperature in a water bath. Then they hit it with fire to char up the outside. Some even use a blow torch. Really. That’s one way. Reverse sear is another. Same idea really. You are cooking your steaks at a low temperature. Creeping up on your target. When you get close you pull the steaks. Set them aside. Crank your grill up to as hot as it gets. If you can get it to 700F that’s good. Not critical. But it will impress your friends. Once you get the grill screaming hot sear the steaks. Same technique as normal. But at the end. Not the beginning. Reverse sear. Get it? One thing before you start. It’s a big one. You have to have an instant read thermometer to do this. You are cooking with the power of science here. But you should have one anyway. It’s really not an option if you want things to work in general. The steps are simple. Put your steaks out to warm up a bit. Stabilize your grill around 225F. Season your steaks. Toss them on the grill and cook, covered, until you get an internal temperature of about 110. Takes around 10 minutes. Pull the steaks at this point and tent with foil. Set them aside. Crank your grill. Really crank it. As hot as it goes. Until you are worried it’s going to melt. Have all your sides ready. At this point you are seconds away from eating. Return the steaks to the grill. Cook them only long enough to colour up. Get some nice grill marks maybe. That’s it. Check the internal temperature. You want to come in around 5 degrees lower than your final target. If you want medium rare you are going for 125F. It will come up another 3-5 degrees as it rests. Tent with foil and let rest for about 5-10 minutes. And then dig in. It seems like a lot of work but it really isn’t. 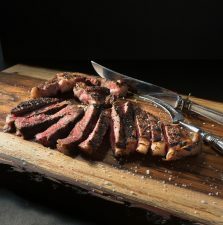 In fact, while it does take a bit longer, reverse sear steaks pretty much guarantees that you will nail your steaks every time. Took me a long time to get around to it but I was converted after the first try. It’s counter intuitive but that’s the genius. Reverse sear steaks work. Really, really well. Get on the reverse sear steak bandwagon. You won't regret it. Take your steaks out about an hour before it's time to cook. Let them warm up a bit. Have all your sides prepped. Pre-heat your grill to 225 to 250F. Grill the steaks at 225-250F until an instant read thermometer inserted in the thickest point in the steak reads around 110F. This will take somewhere around 10 minutes so pay attention. Remove the steaks and tent with foil. Turn the grill up to max. Let it get nice and hot. I did the steak in the picture at somewhere around 600F. Once the grill is screaming hot return the steaks to the grill and cook 1 to 2 minutes per side. Time depends on the target temperature. When you reach the temperature that corresponds to the guideline below remove the steaks from the grill. Tent with foil and let rest for 5-10 minutes. When you take temperature readings insert the thermometer from the side of the steak. That's good advice for any steak or chop. You can be sure you are in the centre if you come in from the side - coming in from the top or bottom is almost certain to give you an inaccurate read. Check the temperature fearlessly. Poking meat with a temperature probe doesn't let all the juices out of the steak. Cooking meat to too high an internal temperature - that dries it out. It's the science of protein and heat - don't take my word for it - google it. This is the temperature you pull the steaks at. Final temperature will be around 5 degrees higher after resting. These aren't the "safe" government numbers mind you. They are the numbers that give you steaks that line up with what you are expecting. In bbq and grilling, beef, main course, meat. Bookmark the permalink.